XG Firewall v17.5 recently delivered several new innovations including Lateral Movement Protection, management via Sophos Central, and a variety of new features focused on education. With Maintenance Release 4 (MR4) announced earlier this week, there are a few new important features I want to ensure everyone is able to get the most out of. While we always encourage all our customers and partners to keep their firewall up-to-date with the latest firmware release, MR4 is the perfect time to update if you haven’t been keeping current to take advantage of the latest security, performance, and many other enhancements. Backup files now use a personal password key for enhanced security. 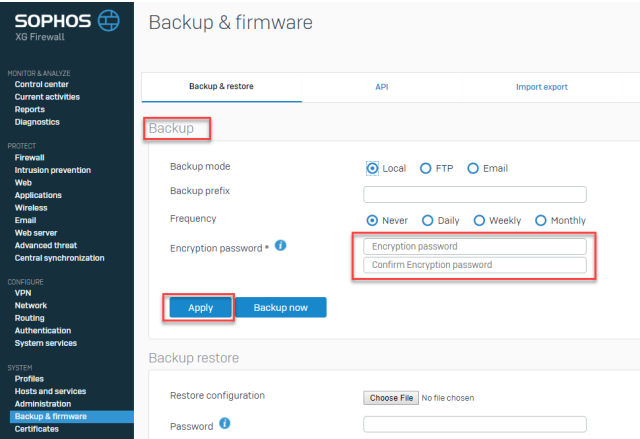 You’ll be required to take advantage of this new feature going forward to protect your backups. Υou’ll notice new entries for an “Encryption password” for the backup and restore process. You should update your backup settings to utilize a strong password that’s 12 characters or more in length. Once you’ve typed in your password, click “apply”. All backups from that point onwards, will use the new password as the encryption key. You can change the password at any time, and even at the time of doing a local backup. Of course, we suggest you use a password manager so you don’t need to worry about remembering all your passwords, but if you forget your encryption password, you can change it at any time and create a new backup. 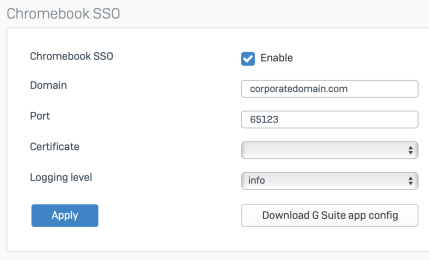 If you’re one of the many XG Firewall customers enjoying the new Chromebook authentication support, there’s now a new option to generate the application configuration file from within the XG Firewall console to import into Google GSuite. XG Firewall v17.5 MR4 also introduces a number of performance, reliability and stability enhancements. You can check out the full release notes for more details. 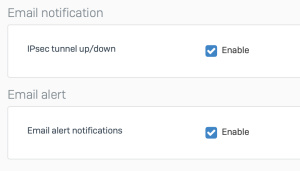 As with every XG Firewall firmware update, it will appear in your console automatically at some point in the near future, but if you want to start taking advantage of these enhancements right away, you can download the firmware update immediately from the MySophos Portal.